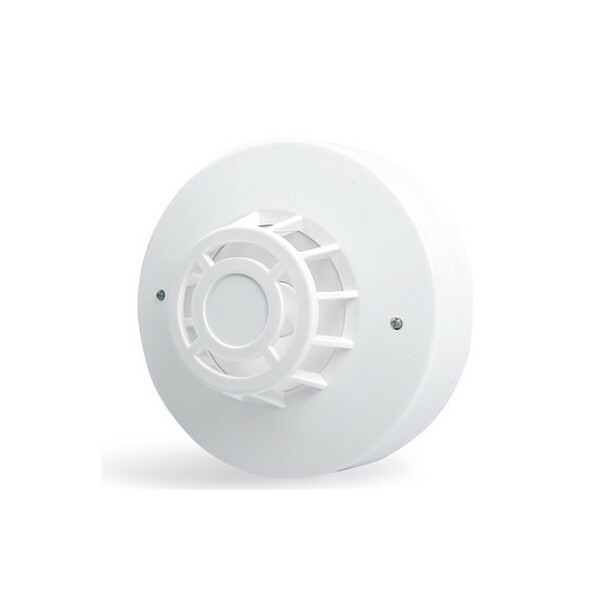 This heat detector offers fixed temperature or combination rate-of-rise and fixed temperature detection, suitable to any household or commercial applications. The detector is made up of an externally mounted thermistor with a specially designed cover that protects the thermistor while allowing maximum air flow. The thermistor reads the temperature from the air it takes in and transmits a signal representing the temperature to the panel. If the temperature reaches or exceeds the trip point or the temperature increase reaches or exceeds the rate-of-rise, the detector is triggered. The status LED lights in red and alarm signal is output. The detector is an ideal unit to detect rapid fire developments in houses, shops, hotels, restaurants, offices, schools, banks, libraries and etc. 1. Connect the wires to the mounting base. 2. Select a proper place ( normally mounted on the center of ceiling). Fix the mounting base and then put the detector into the base and twist to fasten it. Simulate an environment to test the detector: put the detector into a chamber with thermometer and use a heat-creation device to rise the air temperature in the chamber. 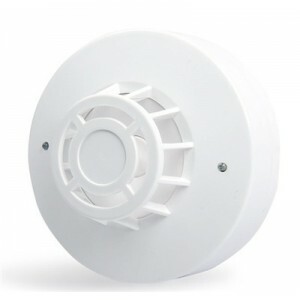 When the temperature reaches the trip point, the detector LED lights continuously in red and the alarm signal is output. 1. The detector can not be installed in places exposed to direct sunshine or heat sources. 2. 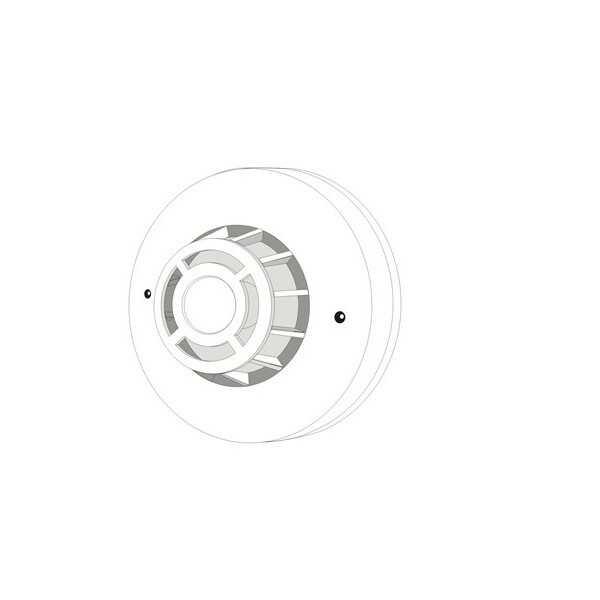 It is advised to install the detector nearby a smoke detector. 3. Make the base fixed firmly and all wire connections right. 4. Test the detector every three months.